Autumn is really setting in with cool damp weather. While our team bundles up against the cold, so does the satellite. Following some electrical and RF tests (all working well! 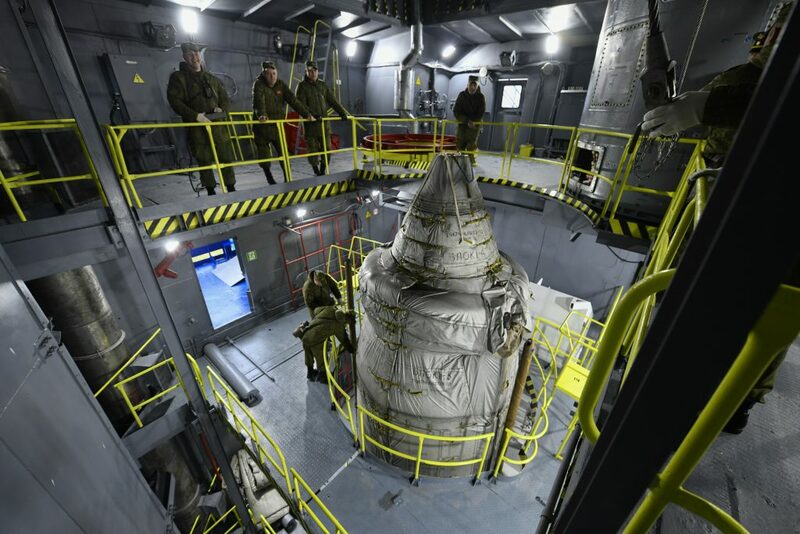 ), a thermal cover was installed on the Ascent Unit in preparation for its four-hour journey to the launch pad. It was then hoisted in the air and placed onto a special train carriage. 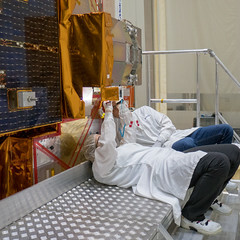 The team then connected the ‘purge cart’ to keep the instrument clean during transport. Some of us got up very early on Saturday to see the train convoy leave the MIK. The whole team then travelled out to the launch pad for its arrival. Still wrapped in its blanket, the Ascent Unit was then hoisted up into the launch tower and onto the booster. In true Scottish spirit, Del played the bagpipes in traditional regalia. The purge cart was then precariously lifted onto level 6 to allow the continued purging of the instrument. We then got to go up the tower to see our ‘sleeping beauty’. But once installed the team woke Sentinel-5P up and communicated with the satellite via cabels to demonstrate all went well during the transfer.